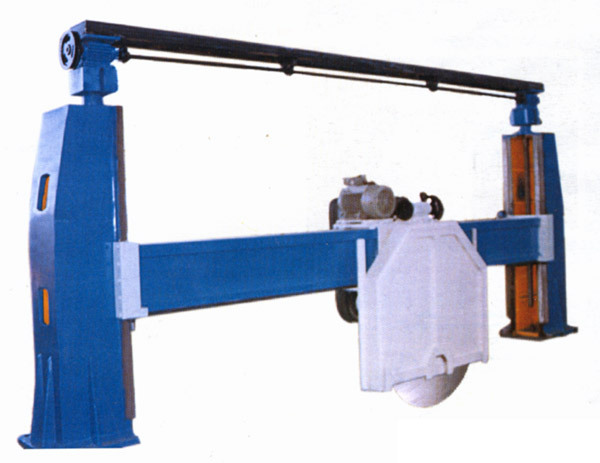 :: SABKO Industries :: Gantry Cranes, Marble Cutting Machines, Marble Polishing Machines, Slab Cutters, Gantry Cranes, EOT Cranes, Block Cutters, Gang Saws, Granite Dressing Machines. Cutting Dimension Height 6'-6", Width 6'-0", Length 12'-0"
Full top to Bottom Cutting by a Dia. 1.3 Mtr. Circular Cutter. HORIZONTAL (small Side) cutter available. 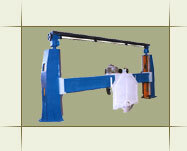 Revolving Trolley available for surrounding dressing of Blocks. 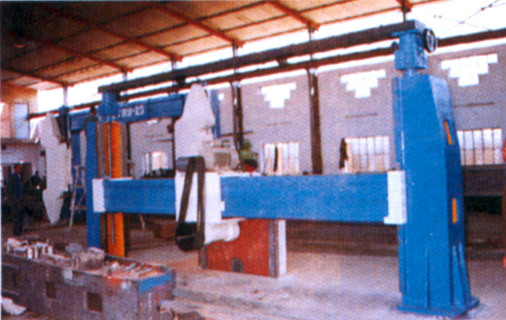 Process step cutting by Automatic Panel. Portray water couplings in tails of Main Spindle for delivery of water in center of cutter.